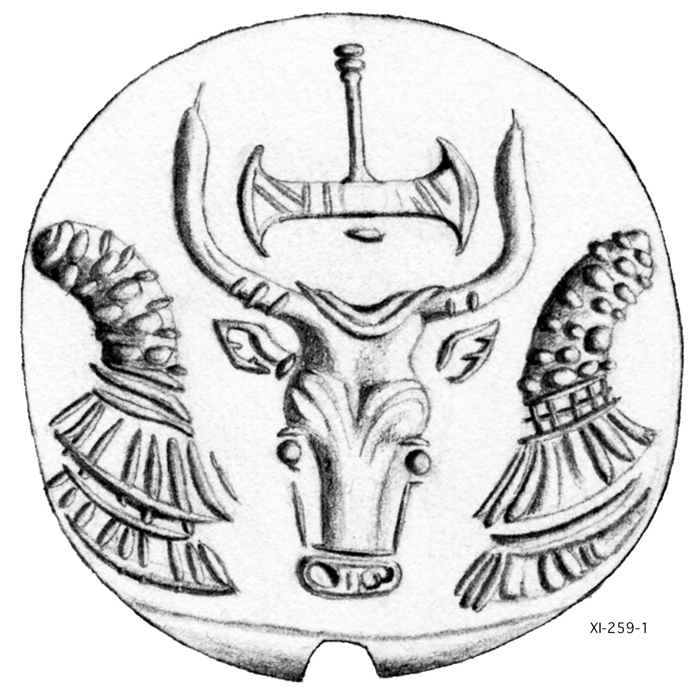 Labrys over bull as depicted on this seal from Argos. Helene Whittaker (Department of Historical Studies, University of Gothenburg) will be the speaker of the next Aegean Lecture, organized by the Aegeus – Society for Aegean Prehistory and the Swedish Institute at Athens. The lecture, entitled “Horns under the Axe” is intended as a contribution to the discussion on the symbolic meaning of the double axe in Minoan Crete. Professor Whittaker will start by discussing the various interpretations that have been put forward. Nevertheless, her main focus will be on the association between double axes and cattle, which can be seen in different types of representations. “Very often only the head of the animal is depicted and there seems to be a specific emphasis on the horn”Prof. Whittaker explains in the abstract of her paper. “The iconographical evidence would seem to suggest therefore that there was a particular association between the double axe and the horns of cattle. The use of various kinds of axes to shape the horns of cattle was widespread in eastern Africa, including Egypt, in prehistory and I argue that this practice may also have existed on Crete in the Bronze Age and be relevant to our understanding of the symbolic significance of the double axe”.